Spare frame pad for 3.90 m trampoline – 230 mm springs. 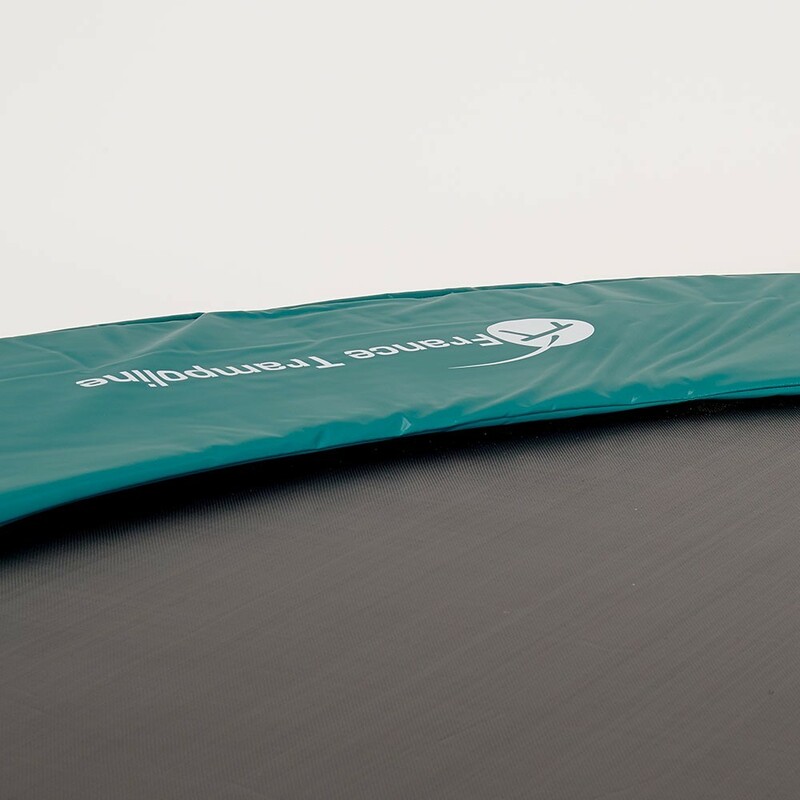 The frame pad is one of the key safety elements on your trampoline. It covers the springs as well as the steel frame, protecting any users that may fall in that area. This is the reason why you should change it quickly if it is damaged. This frame pad is compatible with any trampoline of 3.96 m in diameter with springs measuring more than 210 mm in length. 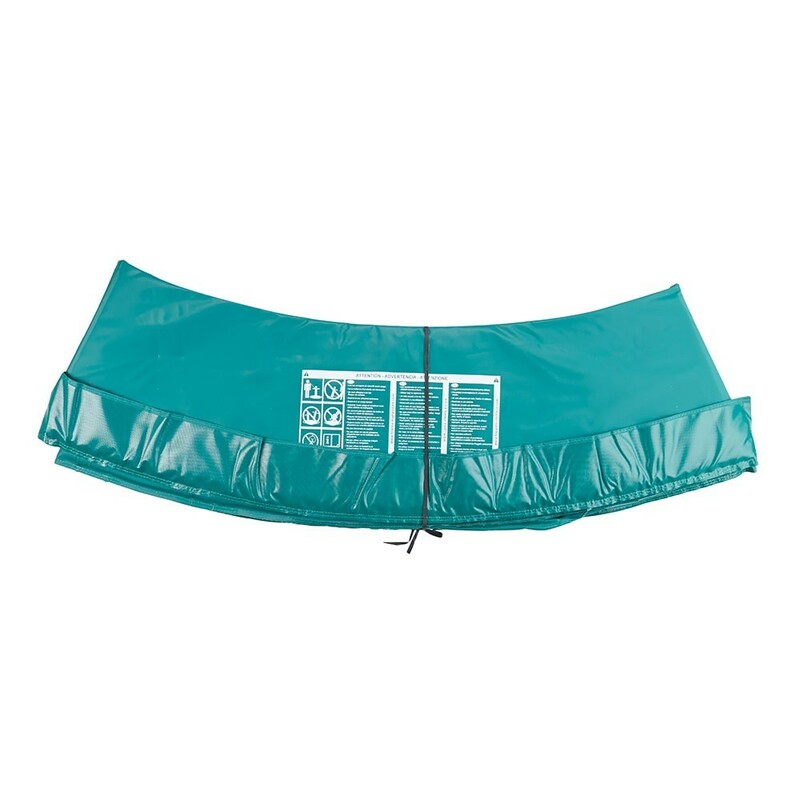 - This Premium green frame pad has a total diameter of 3.96 m and is adaptable to any trampoline with an exterior diameter of 3.90 m, with springs measuring between 210 and 230 mm in length. Whether your trampoline is France Trampoline’s Booster 390, or another equivalent model from another brand, this frame pad will be perfect. 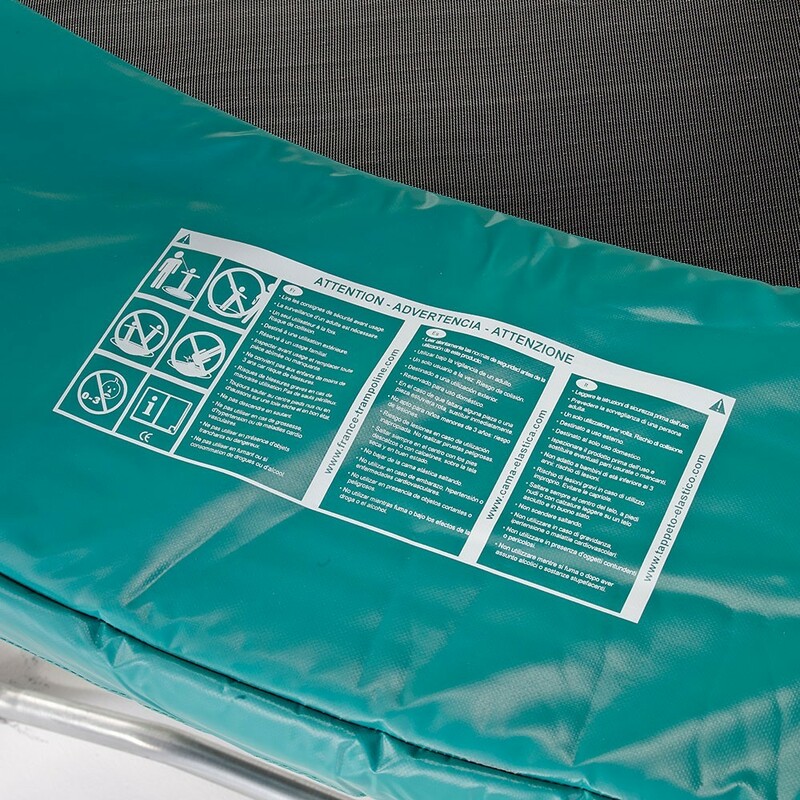 - To guarantee your safety, we use a compact EPE monobloc foam or expanded polyethylene. This frame pad of 3.90 m in diameter is 30 mm thick. This implies that the pad is efficiently shock absorbant and breaks falls. Furthermore, EPE is a waterproof material, drastically reducing the risks from frost or mould. - Contrary to most frame pads on the market, we use a monobloc foam to make this product more durable and strong. - Optimum safety is always ensured by France Trampoline thanks to its quality spare parts, designed using high quality materials. 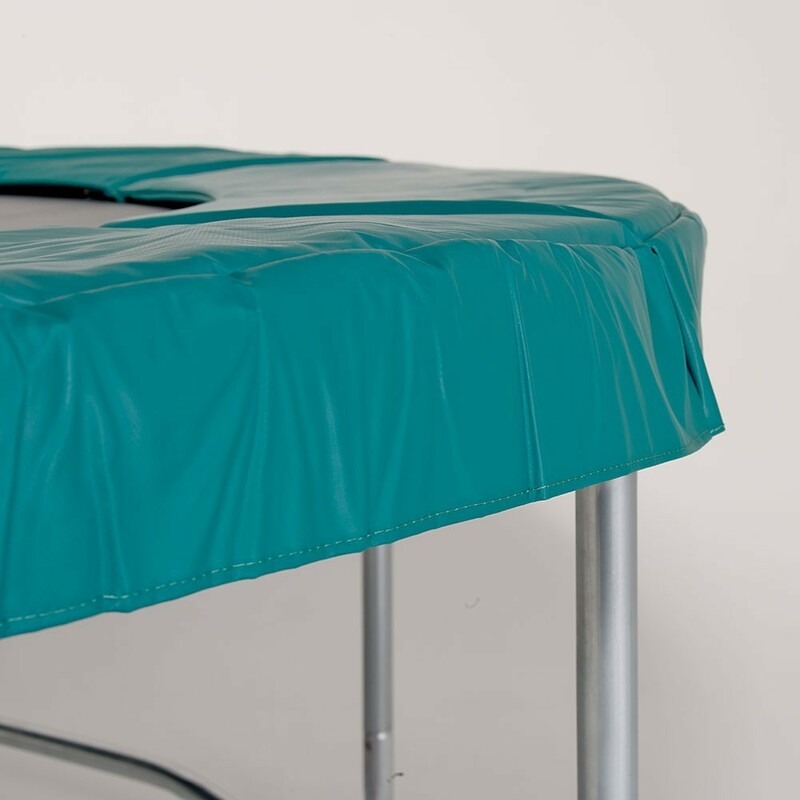 We use a highly resistant technical fabric coated in PVC, which has a density of 650g/m². This fabric covers the foam completely and has a thickness of 0.55 mm, contributing to the shock absorbant qualities of the frame pad. - Finally, to simplify the installation of your frame pad, we use a simple and efficient fixation system. Steel eyelets have been placed under the frame pad on the edge of the PVC, elastic straps are than inserted through them. The elastics are than fixed around the framework, allowing space between the frame pad and the springs and avoiding any friction. Belle épaisseur Résiste à mes sauvages !